"Is is safe to swim in my contact lenses"
So we created this blog post to clear up some questions, comments, and concerns relating to it. Parasites - In many bodies of water there are nasty parasites, bacteria, and microbes that can do some serious damage to your eyes. The problem with contact lenses is that they create a perfect enviorment for these parasites to attach onto. Acanthamoeba Keratitis - The Acanthamoeba is a protozoan parasite that generally lives in freshwater. It attaches onto the contact lenses when it meets and stays there, but is too small to see with the human eye. It then irritates the eye causing inflammation. It can even cause permanent vision damage/loss if not treated quickly enough. The bacteria attacks the cornea of the eye, a condition called "Acanthamoeba Keratitis"
General Irritation - The chlorine in pools and other various chemicals, found in bodies of water all over the world can come in contact with your eye and cause irritation. Your contact lenses can even aid in keeping this harmful water touching your eye if the water gets in between the cornea and lens. Soft Lenses - If you are wearing soft lenses, they will tend to constrict and squeeze slightly on your cornea. This will create inflammation and increase irritation. They also have a pourous design that allows for bacteria/chemicals to more easily attach to it. - you would be safer without any contacts in at all. Use disposable lenses - Many companies such as Acuvue make disposable contact lenses that would be perfect for going in the water. Right after you're done with the lenses, just toss them and put a new pair in. Boxes of acuvue dailes run at about 25$ per 30 contacts. So 30/2(for each eye) = 15. Then 25/15 = 1.6667. So each time you go swimming it's going to cost you a dollar and 67 cents. Not great, but certainly not awful. 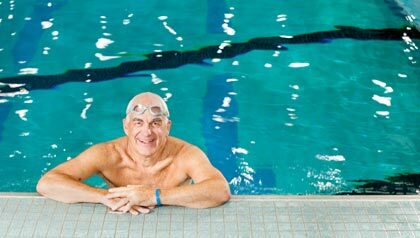 Try prescription goggles - Prescription goggles are definitely the most ideal solution to swimming with contacts in. This completely eliminates the need for contacts; so even if water does get into the goggles, the contacts wont absorb the harmful bacteria. The prescription is actually in the lenses of the goggles, which is perfect for heavy pool/ocean goers. While these can be a little bit pricey at first, they will definitely hold there weight in both health and monetary value over the long haul. If you guys have any additional questions about the health risks of swimming with contacts in please leave a comment below. We would love to hear from you. This entry was posted in Eye Care, Videos and tagged health risks of swimming with contacts, going swimming with contacts, contact lenses swimming, clecontactlenses, can you swim with contacts in on June 27, 2013 by admin. For those who have not yet heard, Acuvue Brand contacts will be discontinued in just 3 days. (July 1st) Here is the excerpt from the press release that Vistakon (a division of Johnson and Johnson Vision Care, Inc.) has put out: "ACUVUE® Brand Contact Lenses, the product that revolutionized the industry in 1987, will no longer be available in select base curves and parameters in the U.S. as of July 1, 2013. All 9.1 base curves and 8.4 and 8.8 base curves of parameters from -6.50 to -11.0 are being discontinued. Products with 8.4 and 8.8 base curves and parameters ranging from -0.50 to -6.00 will continue to be available. All parameters of ACUVUE® Brand Contact Lenses BIFOCAL and ACUVUE® 2® COLOURS® Brand Contact Lenses will be discontinued as of December 31, 2013." They made this brand change to push customers to the more modern, and specialized brand of contacts that Acuvue makes now. Some of these include ACUVUE® OASYS® FOR PRESBYOPIA, ACUVUE® ADVANCE® FOR ASTIGMATISM, and 1-DAY ACUVUE® MOIST®. Make an appointment with your eye doctor - With the coming changes, you will obviously need to switch to a different type of contact lens (if you are using any of these types). It's important to get good feedback from your eye doctor because he/she is the only person that knows your eyes better than you do. This could be a good time to move up to one of the Acuvue specialty brands of contacts. Stock up - If you really love your Acuvue Brand contacts, this is the last chance you are going to get to stock up on the lenses you love so much. With just 3 days left, most companies are just selling off their overhead and then cutting the product. A few months supply might not be a bad idea. This entry was posted in Uncategorized on June 27, 2013 by admin. "I just got back from my eye doctor appointment, and my doctor said if i want to get contact lenses i needed to get toric lenses. I originally said i wanted soft lenses because i have sensitive eyes, but he said this was out of the question. He said this was because of my astigmatism. I was wondering what a toric lens is, and why i can't use soft lenses?" This is a really good question, which is why we decided to make it into a post. I'm going to use a sports reference to answer this question. Toric contact lenses are a solution for people who have astigmatisms. An astigmatism is a defect in the cornea; Instead of a cylindrical shape (or basketball) it is angled too much. This creates a more oval shape (or a football). A conventional contact lens would give you an even amount of vision correction in a circular area. But people with astigmatisms need more focused vision correction in one area (for example: 90 degrees) and less in the opposite end (for example: 180 degrees). Toric lenses do this perfectly, which is why they are ideal. Finding a good fit with a toric lens can be difficult and might take some specialized knowledge. Usually, your eye doctor will charge you the same as any other fitting, but some will charge more. This is a question to ask when you are discussing an eye exam. Why can't i use soft contact lenses? This used to be a very commonly asked question, because back in the day you couldn't use soft contact lenses; But a lot has changed since then. Now they make every type of lens in torics. (soft, hard, and rgp). The reason you couldn't use soft in the past was because normal contact lenses rotate as you blink and go on with your day. However, toric lenses need to stay in a fixed place to tend to your weak/strong spots. However, with the recent advances in the structure of toric lenses, and fitting practices, soft lenses can be used. This is great for people with sensitive eyes who don't want to use a hard lens. Personally, i recommend going with RGP contact lenses. They retain there shape on the cornea better than soft lenses. They also allow air flow into the cornea which will aid in overall eye health. They also provide a more sharp image than most soft lenses. I think soft lenses are a good idea if you are new to contact lenses to get used to them, but once your body is use to them i would definitely move on to RGP or hard lenses. Especially if you have an astigmatism. This entry was posted in Eye Care on June 24, 2013 by admin. You can't figure out how to fix something if you don't know what it is. So let's take a more in depth look into this narrow ended question. Simply put, an astigmatism is when either the cornea or lens has a distorted shape. Corneal Astigmatism: Instead of having a cornea that is ideally round shaped (or a basketball) it is more narrow (much like a football). There are obviously varying levels of astigmatism. Astigmatisms are defined by how the "meridians" work on your eye. To understand a meridian think of the equator and the prime meridian. They split the earth in 2 equal parts, just like your eye. Myopic astigmatism - This is a result of one or more of the meridians being nearsighted. Hyperopic astigmatism - This is the same as a myopic astigmatism, but farsighted. Mixed astigmatism - Just as the name imply's, it's a mix of both the myopic and hyperopic astigmatisms. An astigmatism is also then identified as either regular or irregular. In a regular astigmatism, the meridians are an even 90 degrees apart, whereas in an irregular astigmatism the principal meridians are random. An irregular astigmatism is harder to deal with when it comes to fitting and setting contacts. Irregular astigmatisms are frequently caused by trauma to the eye. Like i said before, this is not a disease where you have it or you don't. No one in the entire world has 100% perfect eyes, so to a degree everyone has astigmatism. However, it is only diagnosed if get's to a certain degree. To determine if you have an astigmatism, your doctor can perform a retinoscopy. This is where he shines a light in your eye while adding lenses in between the light and your eye. This is a standard part of an eye exam, so as long as you are getting frequent eye appointments, don't worry about getting it done. This entry was posted in Eye Care and tagged what is an astigmatism, Lenticular Astigmatism, Corneal Astigmatism, astigmatism on June 20, 2013 by admin. When consumers are shopping for a pair of sunglasses they tend to make their selection based on price then style rather than safety first. Although this may be great for your wallet and arsenal of accessories, but one should also consider the health side of your decision. We all know that the designer sunglasses come with a hefty price when compared to the knock offs or no name styles, but there is a reason for that and it is not just the look and designer name that comes with the shades. The first pair of Ray Ban Aviators was created as a request by an American test pilot who suffered damage to his eyes from the sun. The pilot contacted Bausch & Lomb and asked them to create a pair of sunglasses that would provide protection to his damaged eyes but also look sophisticated. As time went on, the creators of lens took on a new task which meant their products had to be made for safety as well and not just being fashionable. The way they handled this task was by creating a UV protective lens that will help filter out the harmful UV rays as well as creating different types of lenses; the most popular types being polarized and reflective. This health consideration has also carried over into the prescription frames side of the business. I am sure many of you have noticed while you are out and about people wearing eyeglasses that are tinted. These are called transition lenses. This feature allows the user to be able to keep their prescription frames on as they go side and still keep their vision but now also protect their eyes from harmful UV rays. By adding transition lenses to your prescription frames, the user is paying a little extra upfront but in the long run they are saving money on not having to buy a pair of stylish sunglasses and losing their vision. UV protection – The suns UV rays can cause cataracts, pinguecula, pterygia and photokeratits if you are not protected. Dark adaptation – Sunlight affects the eyes ability to quickly adapt to nighttime or even indoor light levels. This is most noted when you are coming indoors while it is still light outside. Skin Cancer – Many of today’s sunglasses are large enough to cover one’s eyes and the skin surrounding their eyes. Good coverage is key to protecting your face from skin cancer. Style - Sunglasses make you look good, and when you look good you feel good. Studies have shown that when a person wears clothes that they feel confident in, more endorphins are released - literally making them feel better. Most kids don’t wear sunglasses! This entry was posted in Eye Care on June 19, 2013 by admin. Eye Exam Cost: Does it Cost an Arm and a Leg.... and an Eye? So we're writing this as a resource to try and help people in the future. The rough answer is any eye exam will range from $30 to $200. Where are you getting the eye exam done? Is the test being performed by an optometrist or an ophthalmologist? What is specifically being done during the test? Is it also a contact lens fitting? So let's break these questions down a little. You can get an eye exam from a bunch of different places, some of these include: your independent eye doctor, a medical clinic, an eyecare store (such as lenscrafters), an eye care practice, or even a supermarket. Places like Walmart, Bj's, Costco, Target, etc. (if they are big enough) will have an eyecare mini-store where you can go in and get an eye test done. If you are getting your test done by an opthalmologist it is probably going to be more expensive. These are real doctors, with real licenses, so if they are going to do an eye exam which could be done by an optometrist they are going to up the price. It's simple supply and demand, but at least if you get it done by an opthalmologist you know you're getting the best possible quality. A background review of your personal, and families eye health. A vision check with a standard eye chart. Interior eye tests for macular degeneration or cataracts. An eye pressure test for glaucoma. A conjunction test to make sure your eyes work well together. As you can see there are a lot of different factors that can go into an eye exam, all of which will raise the price. Contact lens fittings are en entire different type of exam. We wrote an entire post on what to expect at one of these here. However, as an overview you should expect a more in depth fitting process of your eye in addition to all the health checks. 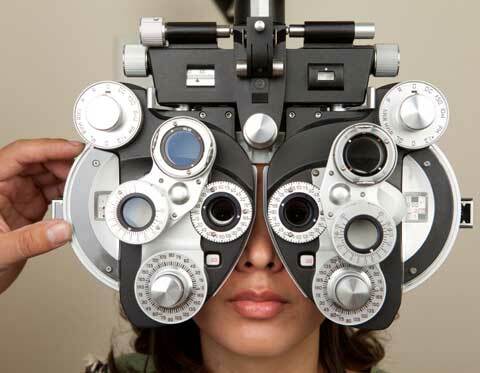 When trying to find the best eye exam cost, remember that there a lot of factors that go into it. If you want to get a really thorough inspection of your eyes, it is definitely worth it to spend the extra money and make sure that your eyes are healthy. However, if you just need a quick test so you can travel abroad or for some type of function, i would go for a lower end one. Thanks for reading, and please leave a comment below if you have any extra knowledge about eye exam costs, great deals you have seen, or your personal experience. This entry was posted in Eye Care and tagged how much does an eye exam cost, eye exam cost, eye exam on June 18, 2013 by admin. Well, cheap sunglasses that is... Next time you go to buy those 10$ wayfarer's at the boardwalk gift shop - think again! Obviously spending over 100$ on a pair of sunglasses can be a bit much at times, BUT as my mother always said "good things aren't cheap and cheap things aren't good". If you're buying a cheap pair of sunglasses, especially from a brand that no one has ever heard of/ does not have a reputation for always putting out a superior product, you could seriously be damaging your eyes. To break it down from a business standpoint, the people that sell these glasses are all about high yields and a quick turnaround. They buy these sunglasses in bulk at around 1-2 dollars per pair and then sell them to you at a 1000% markup. But what's really shocking is that 99% of these sunglasses are made in china and only cost 2-3 cents to produce. Do you really want to put on eye protection that is made with materials equaling 2 or 3 cents? If you had worn nothing at all, you would've been better off because at least your pupils would be taking in less rays. Purchasing the proper eye care is extremely important, and should be taken seriously. Buy off the clearance rack or wait for sales. Most companies will have a clearance section of overstocked pairs they are trying to get rid off. You can see these discounted to almost 50%. Sales are almost inherent with any retailer. If it's any major holiday weekend (memorial day, labor day, thanksgiving, etc.) you can bet there's going to be a sale. Buy polarized. Even though polarized sunglasses can be a little extra money, the amount you save in eye health will definitely be a giant saver. The special lenses block out harmful rays, and they look virtually the same. If you have any comments, concerns, or questions relation to this post, post a comment below. We'll be sure to answer quickly and we would love to see what you have to say. This entry was posted in Eye Care and tagged sunglasses, shopcle, polarized, clecontactlenses, cheap sunglasses on June 17, 2013 by admin. In these segments we will take 10 questions at a time, and give you the best possible answer we can. Kind of like an on going faqs page. Q - How much does an eye exam cost at places like Walmart and Costco? A - A standard eye exam at a commercial store like Walmart of Costco will usually run you about 35 - 40$. It can fluctuate because of the area of the united states you are in. They will also try and up sell you on other products/services so the average appointment its most likely higher than that. Q - Do contact lenses still work if flipped inside out? A - While your contact lenses might still allow you to see flipped inside out, they were meant to be used a certain way. Contact lenses are curved and fitted to fit the radius of your eye, flipping them inside out with distort the perfect fit and irritate your eyes. Q - Can i wear my contacts longer than the recommended amount of use? A - Over wearing contacts can be a very dangerous situation for the overall health of your eyes. It can easily lead to eye infection, which in turn can lead to other eye related diseases. Make sure to check the expiration date on your contact's and to not go past it. Q - What is the legal age to be able to wear contacts? A - Technically there is no "legal" age. It depends on how mature the patient is, and how trusting the eye doctor is. I've personally seen kids as young as 10 wearing contact lenses. Q - What is a safe site to buy contact lenses from? A - Well this is kind of a no brainer for us, but.... us! http://Clecontactlenses.com - Not only do we have a price match guarantee, (Check it Here) But with hundreds of thousands of contact lenses and accessories sent out each year, we know what we're doing. Q - What kind of contacts should i get? A - The exact brand and style of contacts you wear should be discussed between you and your eye doctor. While i could make recommendations based on what most people use, it doesn't mean that it's right for you. You need to pick a lens that is hard/soft enough for you, fits right, and has the overall feel. Q - What is the best contact lens solution? Q - Why do my contacts dry out towards the end of the day? A - It's natural for your contact lenses to dry out a little bit as your day goes on. Especially if you suffer from seasonal allergies or just have inherently dry eyes. The only way to refresh them would be to get them back into some saline solution, but eye drops to re-moisten the eye can definitely help. Q- Is it okay to put the left contact in my right eye? A- As long as your prescription is the same in both eyes, it doesn't matter which eye you put in where. BUT if you have two different prescriptions for each eye, you must pay attention. Q- How can i become and eye doctor? A - Check out this quick video to help you out. This entry was posted in Eye Care, Videos and tagged eye exam, contact solution, contact lenses, clecontactlenses, ask the experts on June 11, 2013 by admin. Being an eye care company, it only makes sense that we take pride in having amazing looking eyes. It got us thinking about who has the best eyes out there. Obviously we can't rank everyone in the world, but saying as how stars in Hollywood are generally toted as aesthetically some of the most pleasing in the world, we'll rank some of them. So here is our list of the top 10 best eyes in hollywood (5 girls and 5 guys). In the transformers movies Megan Fox might have been too oiled up and running away from explosions to really see how good her eyes look. But take a closer look and you'll see something amazing. A Bollywood star, Aishwarya has eyes that are literally nothing short of stunning. The perfect balance of seductive and beauty. Ohh Lara Croft. Angelina Jolie is one of the few people in the world that has the eyes to match her lips. IMHO she has the one of the most beautiful faces i have ever seen in my entire life. A list about hollywood eyes can't be made without Kate Bosworth. I mean just look at her eyes. They're two different colors. Absolutely stunning. I might be a little biased because Olivia Wilde might be may favorite person in the whole world to look at, but honestly look at those eyes. Absolutely perfection. 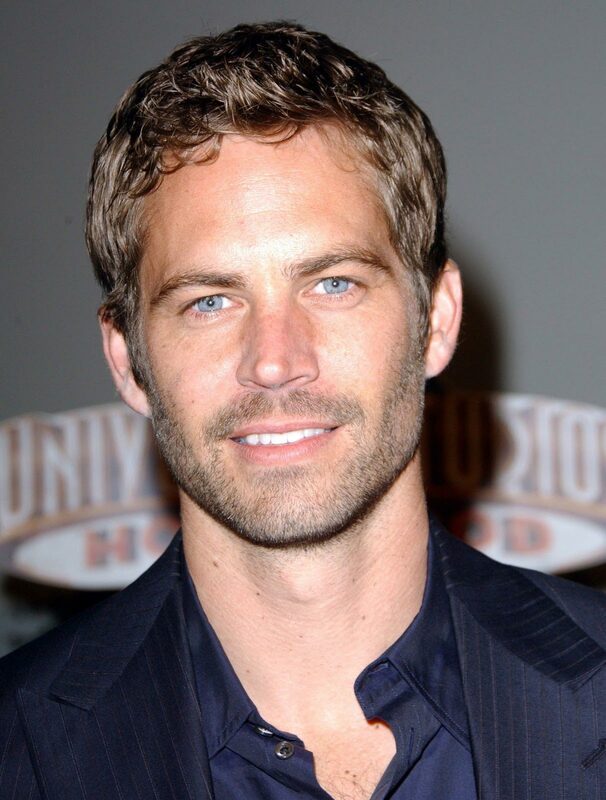 This star from the Fast Furious series comes in at #5 for his light blue specs. Zach Effron was a child star starting on the Disney Channel on High School Musical. He now has grown up and comes in at number 4 on our list. Whether saving his best friend from the heat of Las Vegas, or mastering the use of NZT, Bradley cooper always looks good. His eyes puts him on our list at number 3. Johnny Depp has some of the darkest eyes i have ever seen. It's that uniqueness that puts him in the top 5. 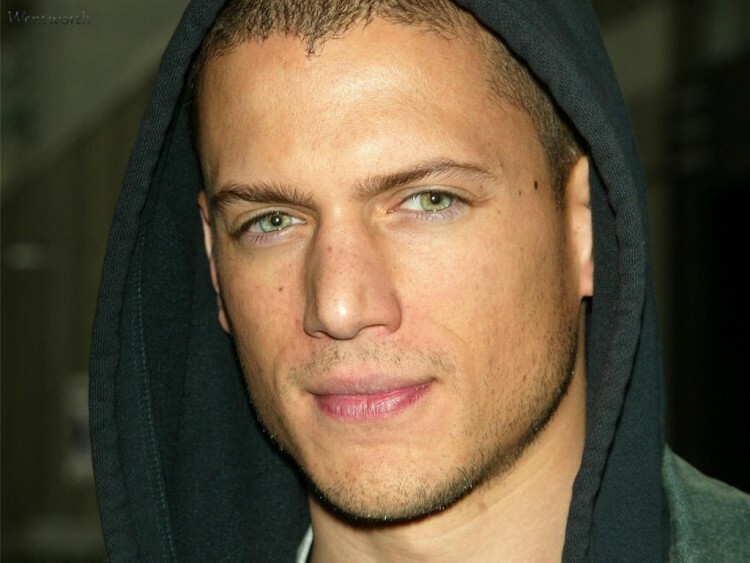 The star from the hit Fox TV show "Prison Break" is touted as our number 1. The perfect blend of color and shape, he has the best eyes in hollywood. This entry was posted in Eye Care and tagged nicest eyes, hollywood male eyes, hollywood female eyes, best eyes in hollwood on June 10, 2013 by admin. We have some awesome news for all of our loyal customers and followers out there. 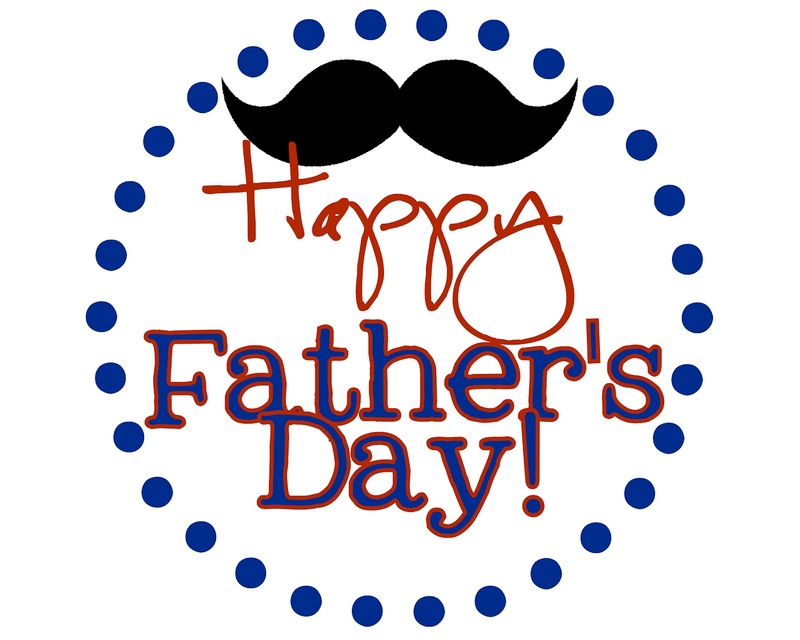 Our sister company: http://shopcle.com, is doing their annual father's day giveaway and it's not too late to get in on the action. The contest is being run on Facebook, but is open to any and all of the shopCLE customers, fan base, and followers. You must have a verified FB account. We highly encourage anyone and everyone to go onto the page and submit your entry. It's our overall goal to try and see how many awesome entries we can get from as many possible people possible. This entry was posted in Contests, News on June 7, 2013 by admin. DON’T FLUSH YOUR CONTACTS DOWN THE DRAIN!